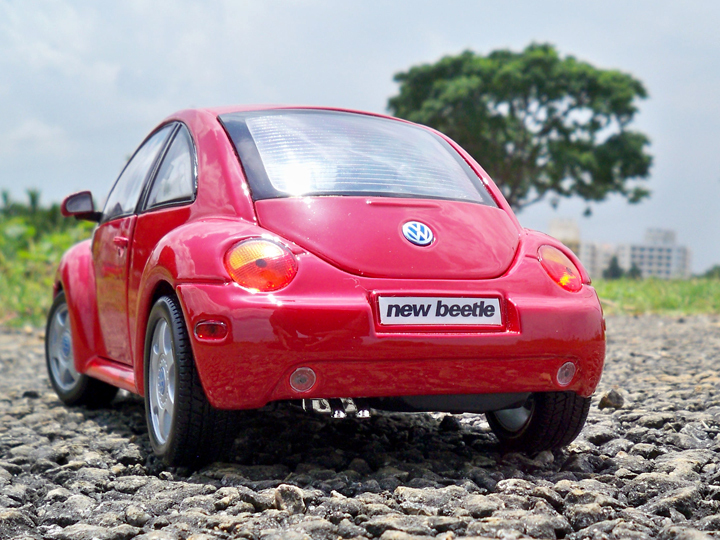 The New Beetle was introduced by Volkswagen in 1998 drawing heavy inspiration from the original Beetle designed as a economy car in 1938. 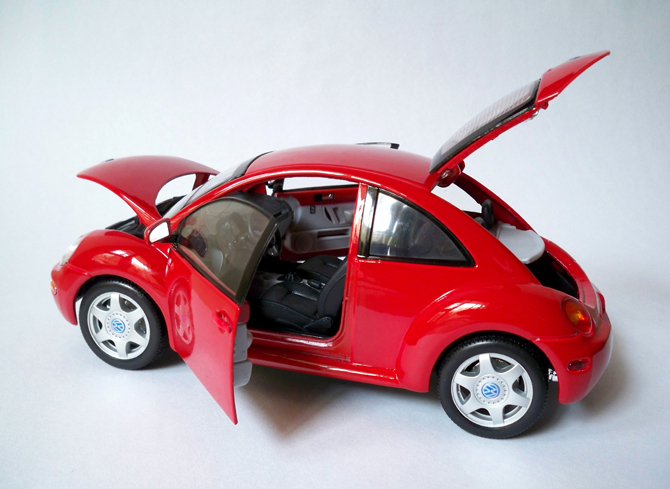 The major and distinct feature in the New Beetle is the engine in the front driving the front wheels and luggage storage in the rear. The interior is made of light/dark gray shades which did not get any eyeballs. The roof and the rest of the interiors and left body colored but should have been given some attention. 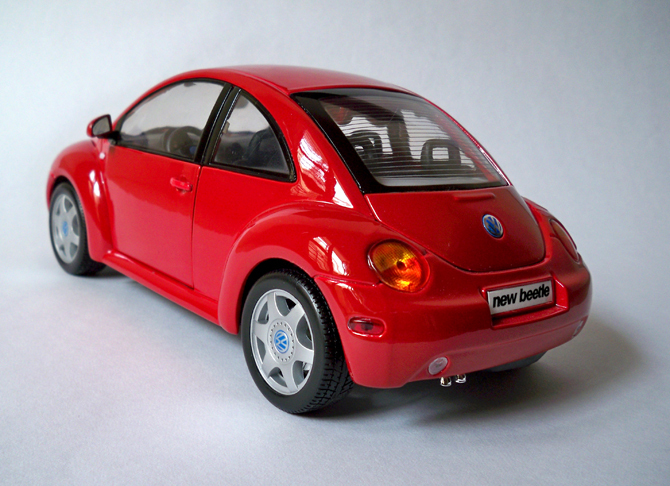 This model has all the standard features like operational steering, door, hood and truck open etc. The conclusion for this review is this model gets very high scores when kept on a display(thanks the red color) and on closer inspection the scores goes below par and even fails to satisfy even the average collector. Maisto put better concentration on forth coming models. this is not the original. 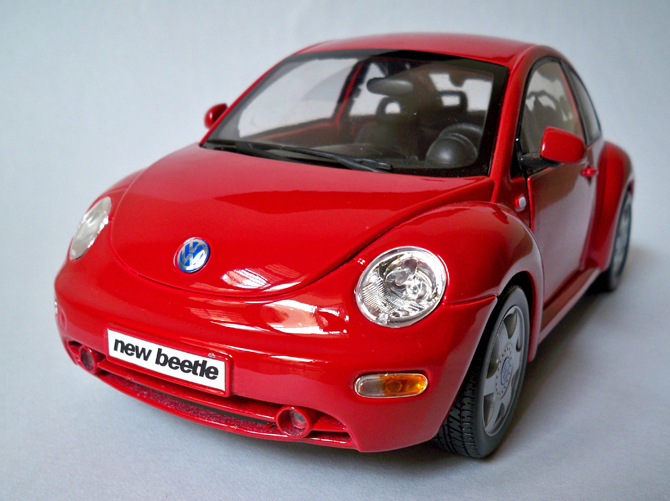 but a reduced toy car version of beetle. But looks nice and very cleverly taken. Great job. It took me very long to catch the catch. Thanks Aaron! 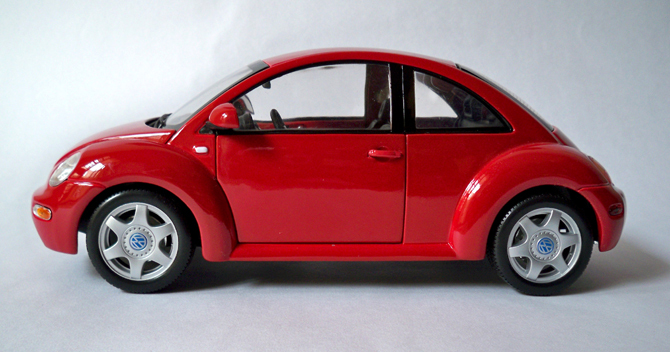 in this site all the cars/bikes are scale models (authentic scale models) which are for more detailed than toys. 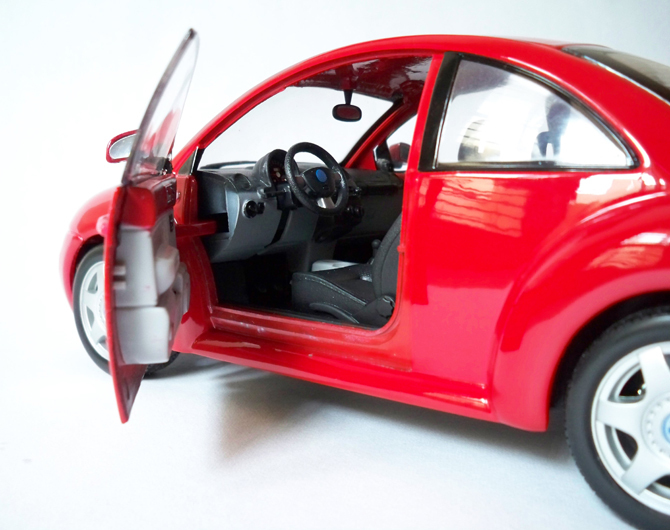 They come with opening doors, boot, trunk, functional streeing and some expensive models comes even with leather seats and even more detailed engine etc!